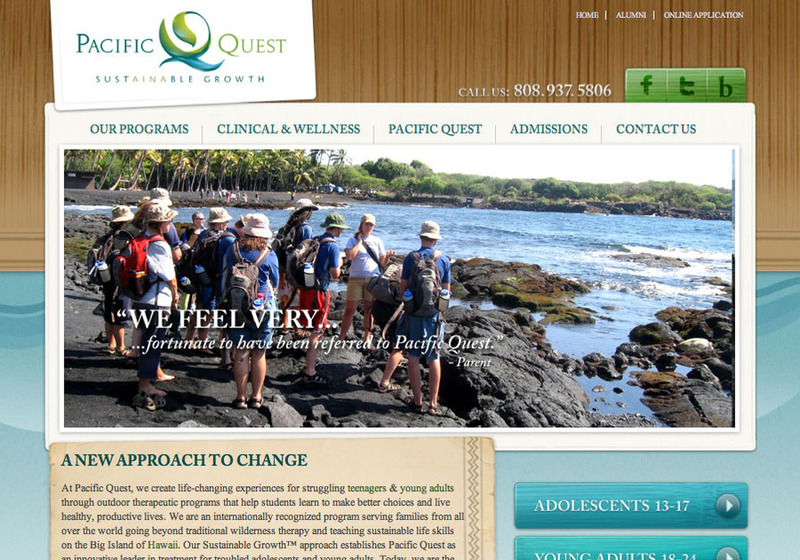 At Pacific Quest, they create life-changing experiences for struggling teenagers & young adults through outdoor therapeutic programs that help students learn to make better choices and live healthy, productive lives. They are an internationally recognized program serving families from all over the world going beyond traditional wilderness therapy and teaching sustainable life skills on the Big Island of Hawaii. PQ’s Sustainable Growth™ approach establishes them as an innovative leader in treatment for troubled adolescents and young adults. Today, they are the most respected and innovative wilderness therapy program in the industry.